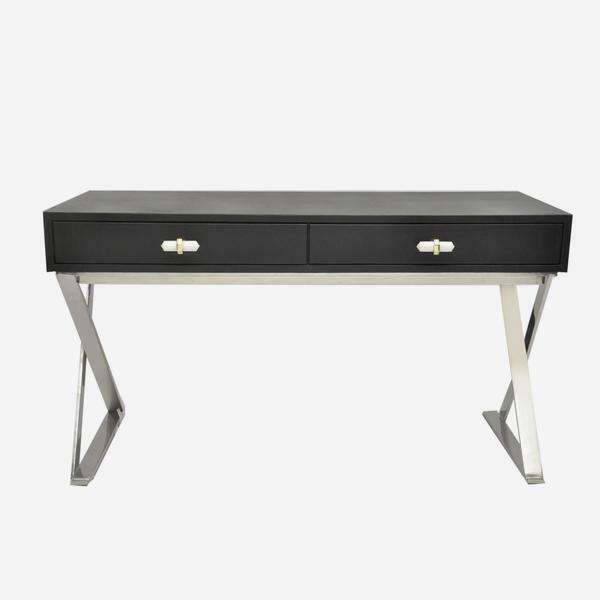 A smart black shagreen leather desk featuring two pull out drawers with quartz stone handles. 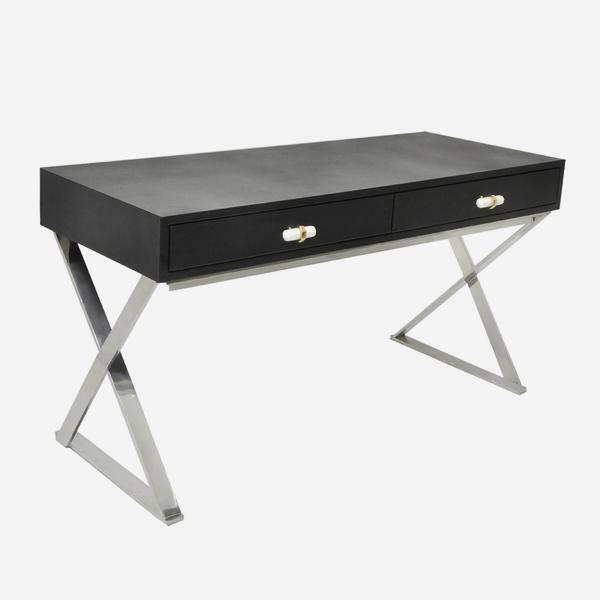 Marcel stands on X-shaped legs in a shiny nickel finish that gives it a linear and design-led silhouette. 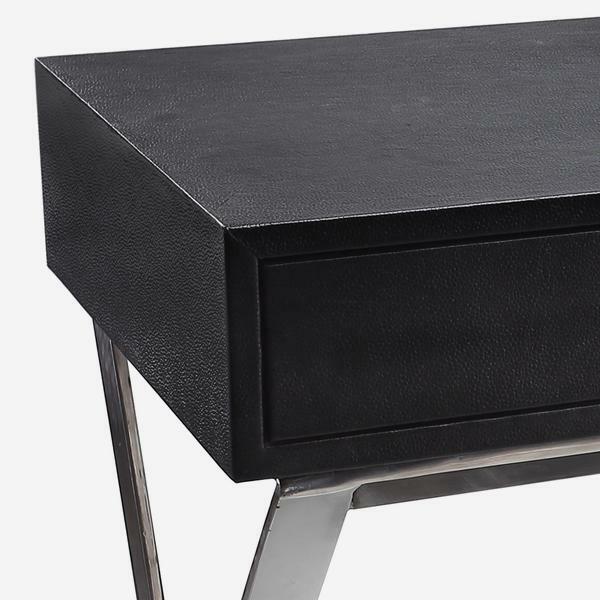 The textural detail of shagreen softens the look, paired with the delicacy of the quartz stone handles which are attached with gold rings to the drawers. 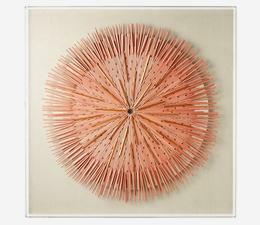 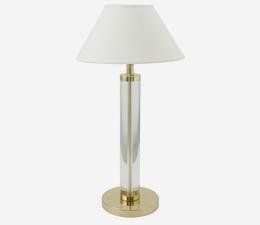 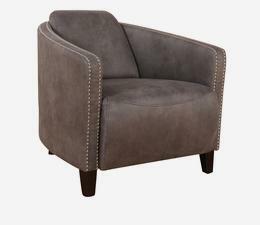 Marcel exudes conscious elegance and finesse.